Robert “Trey” Amend serves as an Operations Analyst at Caprin. His responsibilities include the integrity of Caprin portfolio and performance data, receivables accounting, and the improvement of operational processes. Prior to Caprin, Trey was an Associate Administrator of company deferred compensation retirement plans at the Newport Group. Prior to that he was a Benefits Analyst at Genworth Financial. 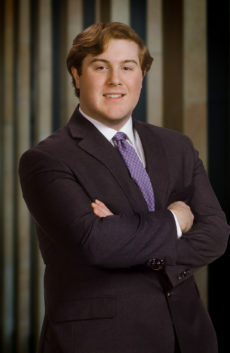 In 2015 Trey received his Bachelor of Science degree in Finance with a concentration in Investment Management from the Pamplin College of Business at Virginia Tech. In his free time Trey is an avid sports fan, football in particular. He is also a passionate supporter of the Hokies.